At AmeriDENTAL Group of Upper Darby, we know the importance of maintaining pristine dental hygiene. We have extensive experience in cosmetic dentistry and dental surgery and take your health seriously. We can evaluate your teeth, your bite and other oral facets to help you achieve a healthy and confident smile. A healthy mouth and smile can enhance your quality of life by increasing confidence and reducing chances for bacteria to invade vulnerable areas in your gums. 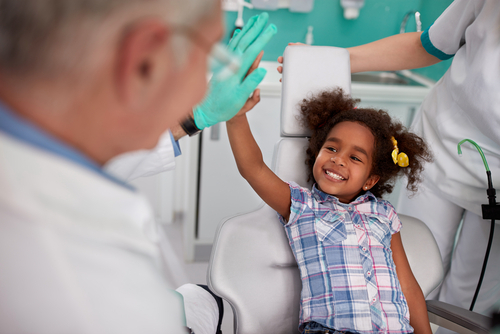 AmeriDENTAL Group is different than other dentistries; we treat patients like they are family. We’re confident that after just one visit you will not only appreciate your experience but also the difference in the quality of dental care you’ll receive from our staff. It is our commitment to our patients, and we work hard to prove it every day. If you live in Ardmore, Springfield, or any of the surrounding communities of Upper Darby, PA, we are here for you and your dentistry needs. Composite Fillings (Tooth Colored) – Natural-looking, bonded to the tooth. Our offerings include composite fillings that match the natural look and color of your teeth. Crown and Bridge – Restorative treatment for damaged teeth. We offer porcelain crowns and bridges which are excellent replacement solutions. Dentures/Partials – Acts as a replacement for lost or extracted teeth. We make sure that these appear as natural-loo king teeth. Endodontics (Root Canal Therapy) – Preserves a damaged tooth and prevents infection. This can result from a traumatic injury or excessive decay. Dental Implant Surgery – Fused to your jawbone to provide stable support for artificial teeth. This is the best procedure to ensure your dentures and bridges, as well as individual crowns placed over implants, do not slip or shift in your mouth. Tooth Extraction – Oral surgery and the placing of dental implants. All types of removal fall under this surgical category, including our wisdom teeth removal services. Periodontics (Gum Therapy) – Used to help restore optimal health to teeth and gums. This branch of dentistry focuses on the structures surrounding and supporting the teeth. Invisalign (Invisible Braces) – Invisalign straightens teeth using a series of invisible, removable aligners. These are similar to braces but much less invasive. You know the expression, “You never get a second chance to make a first impression.” Having a great smile is essential to your self-esteem and your mental health. Your smile is uniquely yours. It tells everyone a lot about you. Your smile suggests your friendliness, personality and even your intelligence. Having a poor smile can have a dramatic effect on not only your physical appearance but also your self-esteem and overall health. Besides the aesthetic benefits of a healthy smile, healthy teeth go a long way in preventing diseases, not only in the mouth but also throughout the entire body. Gum disease has been linked to health problems such as heart disease, diabetes, stroke and premature or low birth weight babies. If you have already scheduled you or your family’s next dental surgery appointment with our office, and you are interested in other ways AmeriDENTAL Group can serve you, we are proud to offer emergency dental services and dental extraction services to enhance your experience with our Upper Darby practice. We truly care about you and your family’s dental health and hope you seek us out for your next dental surgery. Serving Upper Darby, Ardmore, and Springfield, PA, we look forward to seeing that bright and beautiful smile for years to come! At AmeriDENTAL Group, we improve lives, by improving smiles.